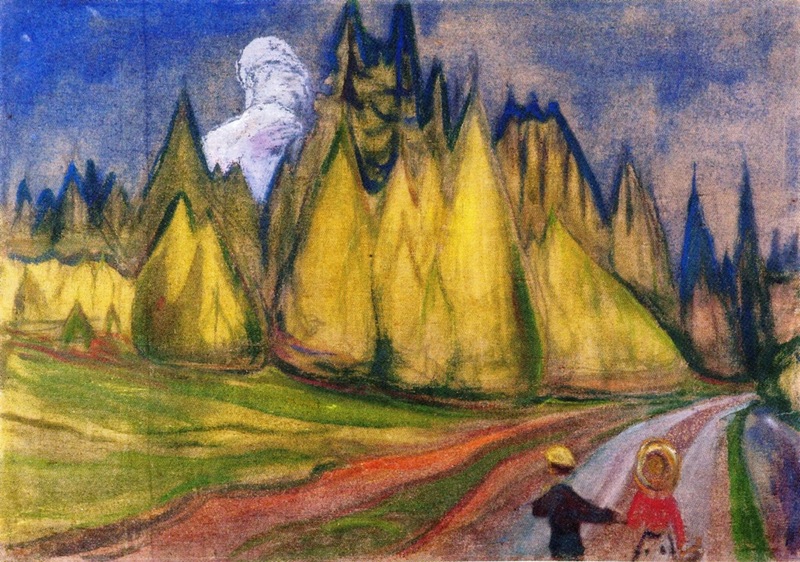 Two Children on Their Way to the Fairytale Forest, 1901–02, casein and oil on canvas by Norwegian artist Edvard Munch (1863–1944). Image courtesy of The Athenaeum. I was twenty years old, working at one of the dining tables about midnight, when I got the first glimpse of my other country. An unimportant country of middle Europe. One of those Hitler had trashed and Stalin was now trashing. . . . I see the river, the Molsen, running through an open, sunny countryside to the old capital, Krasnoy (krasniy, Slavic, “beautiful”). Krasnoy on its three hills: the Palace, the University, the Cathedral. The Cathedral of St Theodora, an egregiously unsaintly saint, my mother’s name. . . . I begin to find my way about, to feel myself at home, here in Orsenya, matrya miya, my motherland. I can live here, and find out who else lives here and what they do, and tell stories about it [from the Introduction, The Complete Orsinia]. It’s not a coincidence that the name of this imaginary country (Orsinia) and her own name both stem from Latin words for a female bear (orsa in Italian, from ursa in Latin). As Ursula K. Le Guin (she married in 1953) explained to James W. Bittner, “It’s my country so it bears my name”—and presumably the pun was intended. As Bittner points out, both Ursula and Zida were six years old in 1935, so the story is, “among other things, a portrait of the artist as a young girl. 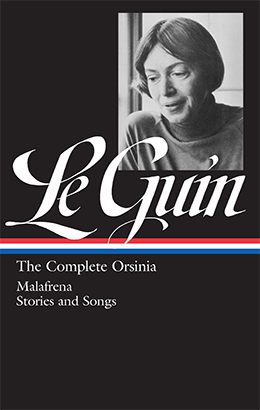 Le Guin has written a tale about the family of a professor who is writing a history of Orsinia, a country she invented.” As she reminisced to an interviewer in 1988, the young Ursula and her brother “played narrative games with stuffed animals, with toy soldiers, or acting out parts ourselves,” and her vast reading that informed this recreation included science fiction stories and Norse myths. In addition, like the Egideskars, the Kroebers spent summers during the 1930s at a family getaway, a Napa Valley ranch named “Kishamish” (from a myth invented by Ursula’s brother). During those summers Ursula’s father, Alfred L. Kroeber, worked on what would become his monumental study in comparative cultural anthropology, Configurations of Culture Growth. Note also that the date at the end, 1935, refers to the year in which the story is set. “We can’t drive to the river on Sunday,” the baron said, “because we’re leaving on Friday.” . . . If you don't see the full selection below, click here (PDF) or click here (Google Docs) to read it—free!